Blue, originally uploaded by fmirela. From the pages of my favorite magazine to reality! Burda WOF issue 04/2005. Some patterns are simply timeless. 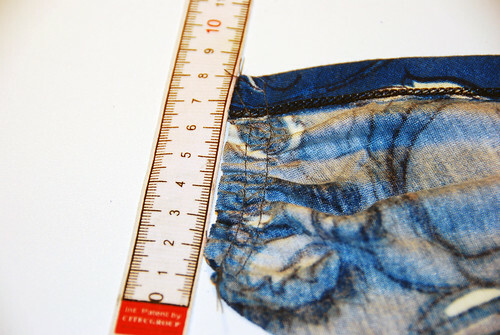 I have sewn this pattern before and loved it, so I wrote a how to and will definitely reuse it again and again in different prints and colors. 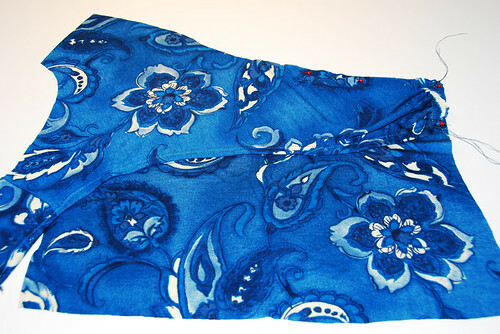 Although a plain color will accentuate the cut better, it works well with a print too. I can also picture it with a different color for the sleeves and lower front. It is easier to make but looks sophisticated with the twist in the front and underlines the bust, fits beautifully and is very comfortable sewn in jersey. Can be made with or without sleeves and the back can have a V neckline just like in the front. twist, originally uploaded by fmirela. Pattern: Burda WOF 04/2005 model number 112. I got this beautiful jersey in Tel Aviv, had enough fabric left for a simple top with a drape. I omitted the V neckline in the back, and made it round. This way I could sew the shoulder seams first. 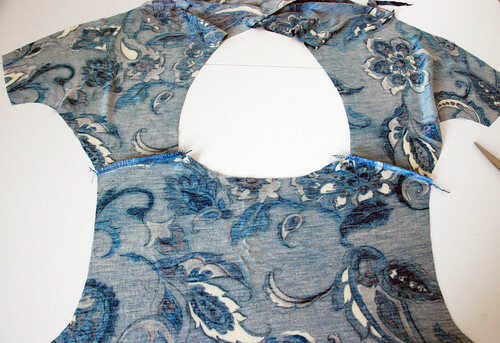 Finish the neckline in front and back in one seam with a coverstitch, or use a twin needle. Gather the lateral edges of the top parts of the front, to 8cm. Overlap left top front part over bottom front part, wrong side over right side. Baste the gathered top edge to the lateral part of the front. Baste from lateral to middle marking. Fold right top front part of the front downward. Overlap right top front part over bottom front part, wrong side over right side. Baste the gathered top edge to the lateral. Baste from the lateral to middle marking. Twist front ends of top pieces together, one over the other. Fold right side of right top piece over the right side of bottom front. 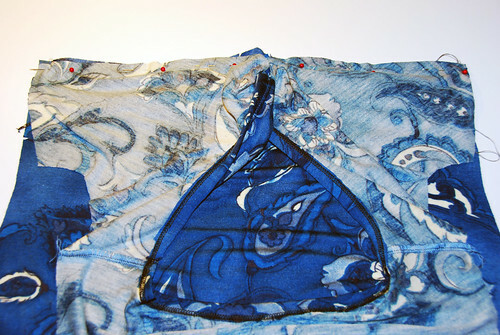 Fold left side of top piece over left side of bottom front, right sides of fabric facing each other. Stitch top pieces to bottom pieces. Stitch lateral seams (and shoulder seams if you kept the V in the back). 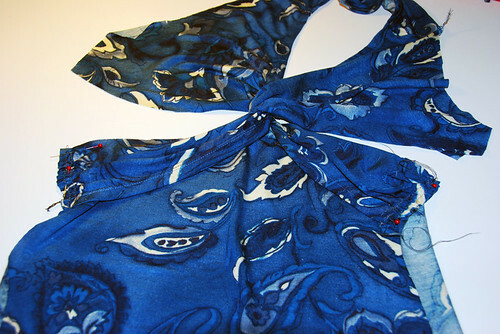 The twisted part in front should adhere to your body, otherwise the blouse is too large. The V in the back is finished using the V fold band. Place the band over the back, right sides facing together. Stitch the band in place. 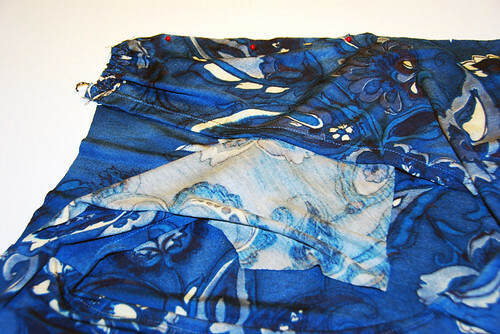 Clip inside the center of the V, cutting bother the blouse fabric and the band together. 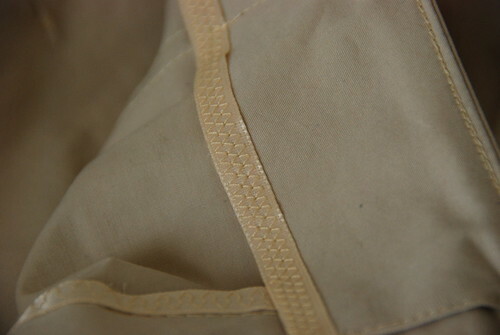 Finish sewing from right side with a cover-stitch or twin needle. 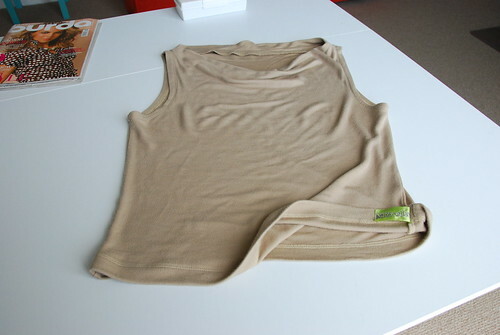 Use a stitch in ditch to sew the shoulder lines to the V band edges. The instructions might sound complicated, this is in fact pretty easy to make. I finished the sewing of this and another simple top in about 2 hours last night. Wearing it now! I think 2 hours is what you might spend in a mall looking for a top, right? Pictures of the final results coming soon!